We fought the first battle in our Winter of No Surrender campaign. The Red Army crossed the border at Rajajoki with two sections of border guards and a section of engineers. The lone Finnish sentry and his commanding officer were quickly captured and sent off to the rear for interrogation. The Soviet troops then advanced quickly towards the Rajajoki railway station. They had orders to unfuse all Finnish demolition charges, take over the station and capture any Finnish troops encountered. 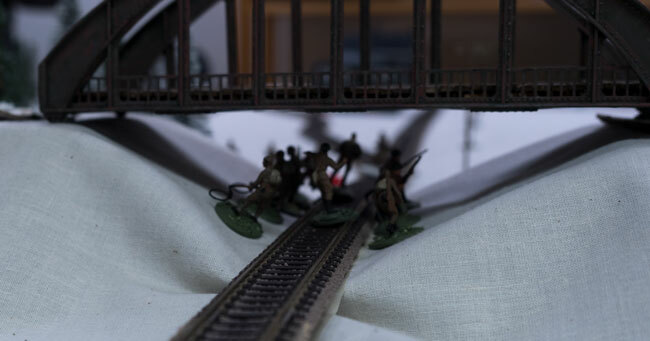 The Soviets ran towards the station with a squad in closed column, while the engineers started looking for explosives under a bridge. 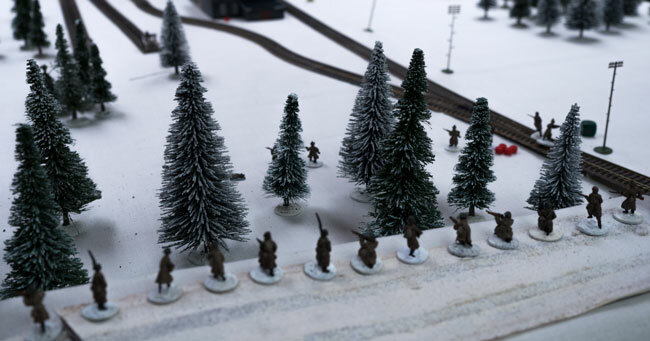 The squad came under rifle fire from the station, lost some men and deployed into a skirmish line. They returned fire and tried to advance, but were unable to do so as their sergeant was grazed by a bullet and lost consciousness. When he came to and rose to order his men forward, another Finnish bullet hit him and killed him instantly. The Soviets then decided to advance with their second squad, led by their lieutenant Ivan Ivanov. As they advanced the engineers found 300 kg TNT charges under the bridge and cut the cables leading to the station. 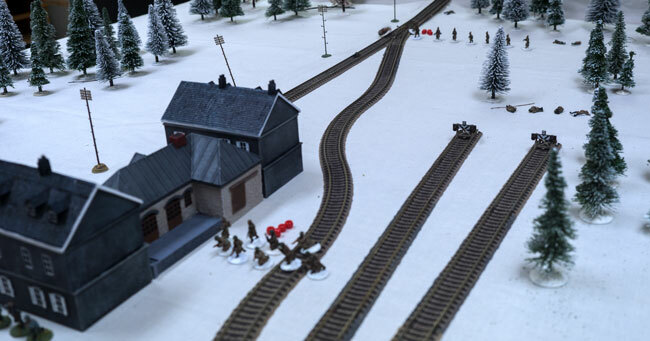 At this very moment the Finnish officer at the station had managed to get his phone call through to the Finnish HQ and received permission to start demolishing the strategically important targets in the town. He reached for the plunger, pushed it, and nothing happened. Soviet border guards advanced rapidly towards the station, the lieutenant ordered his squad to run to the back of the station and surround the Finnish defenders. He then ran toward the badly mauled first squad, ordering them forward. While standing alone in the field trying to get his prone men to advance, a previously unseen Finnish team opened fire on him. Lieutenant Ivan Ivanov fell slowly forward, and as the snow slowly turned red around him, the Soviet soldiers ran as fast as they could back towards the border. Yesterday the glorious liberators of the Workers’ and Farmers’ Red Army were greeted with open arms by the population of the village of Rajajoki. Two oppressors of the people were apprehended at the border before they could carry out their dastradly plan of executing the peace loving inhabitants of the village who were greeting our brave lads with the traditional Finnish offering of bread and salt. Our soldiers of the border guard force then showed purity of mind in the most glorious tradition of the party of Lenin and Stalin in giving the ultimate sacrifice in their attempt to protect the infrastructure of the liberated area from the devilish attempts at wanton destruction in the hands of the white bandits. They freely gave their blood to the altar of the untarnished glory of the Red Army but were unable to wrench the plunger of fiendish bombs from the hands of the enemies of the peace loving people. 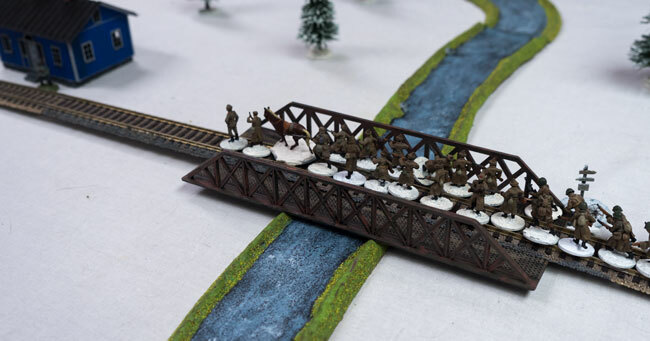 The hooligans of the enemy torched the property of the people and blew up the bridges and railroads while sobbing mothers held the lifeless babes, bayoneted by these criminal bandits. Tannerite gang of white bandits, be sure the vengeance of the peace loving masses of the proletariat will be swift and decisive. The name of lieutenant Ivan Ivanov, shot in the back while valiantly exhorting his men to even greater efforts, will be on our lips as we take back the ground wrenched from the people!